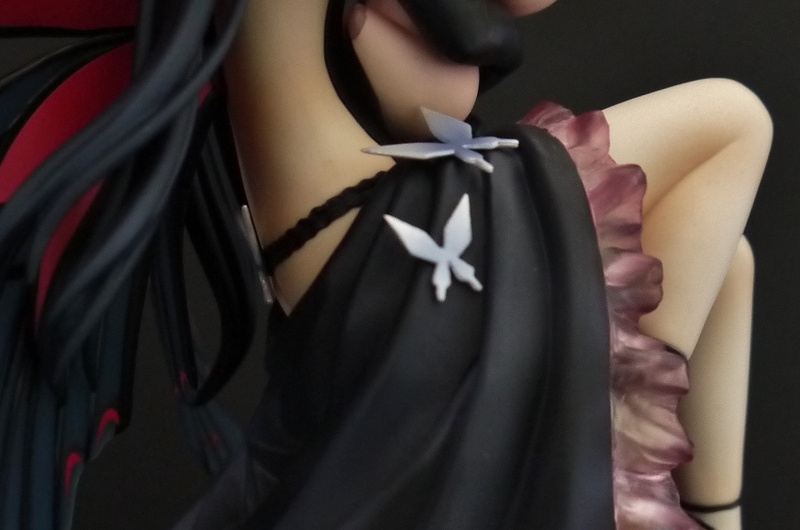 The sculpt and detail are gorgeous. There’s some really nice shading effects on the skin tone all around, but they’re most prominent around her chest and collarbone area. 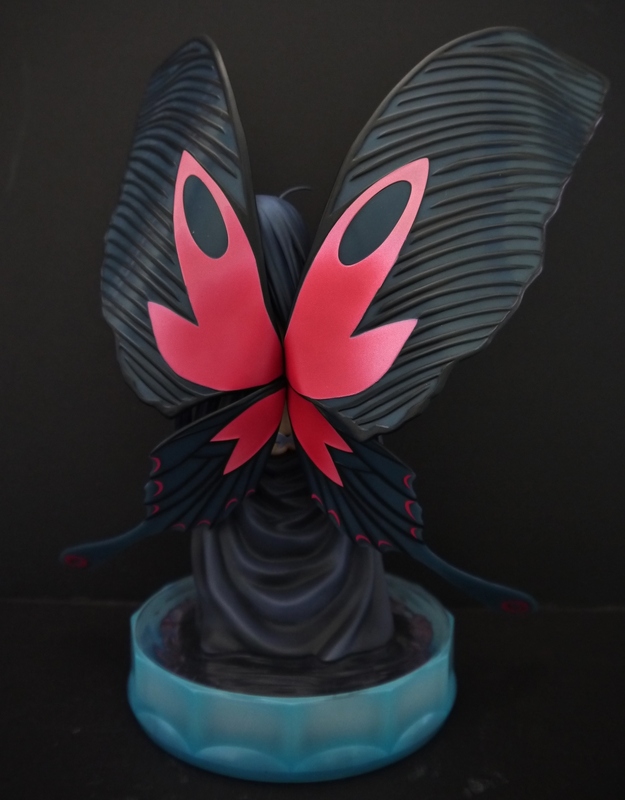 You get all sorts of materials being used in this statue, with the little silver butterflies being made out of what appears to be a soft PVC. Very impressed with the accuracy and cleanness of the paint apps. 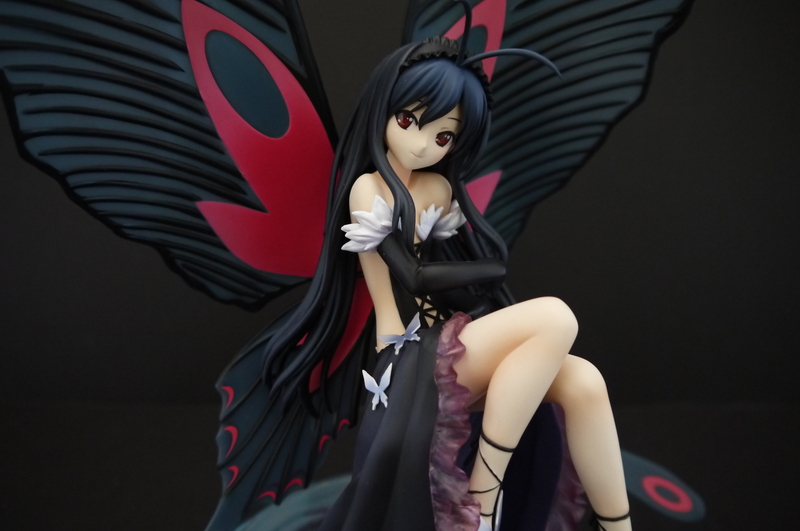 For a mass-produced figurine, the painting and color on this piece is extraordinarily well done. 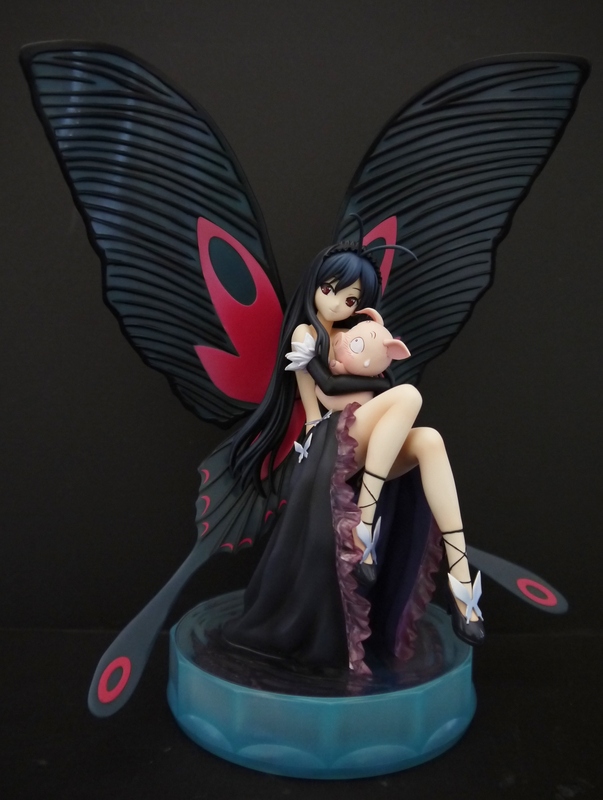 A really cool feature that Kotobukiya decided to incorporate with this particular Kuroyukihime is see-through wings. They’re made of a clear dark blue plastic so light shines through them. A really unique point for this statue is the base…it’s water! I’m not gonna lie, my mind was nothing short of blown when I saw this for the first time. 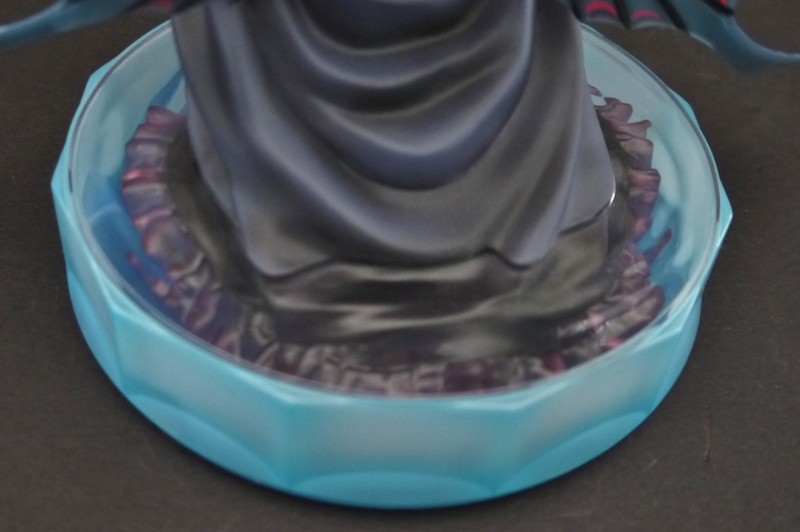 The base has her dress half-submerged in clear plastic, with a great watery effect on the surface. The dress really seems to float in there. The entire segment is also made of clear/opaque plastic, giving massive potential for light-up effects. I’m sure it’d look astounding on a up-lit table or display shelf. 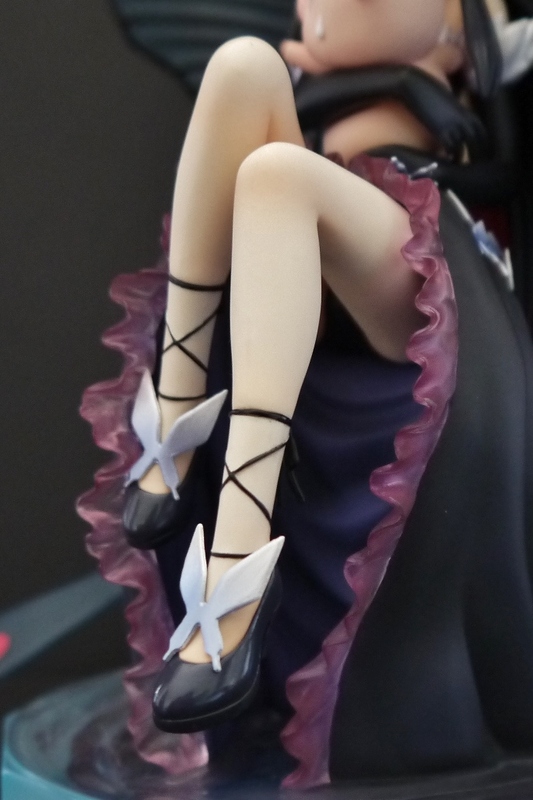 A little something interesting about the sculpt itself is that Kuroyukihime isn’t actually sitting on any object or anything…she’s just kind of…floating. I was a little boggled at that, but have since come to accept it. 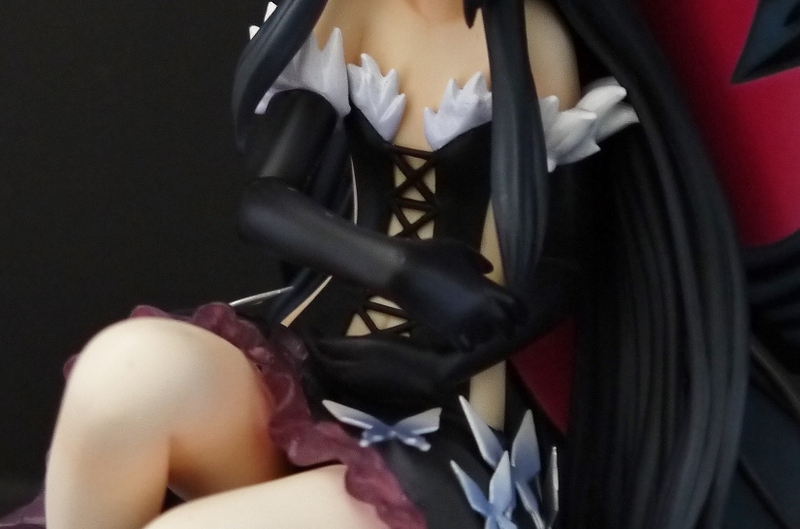 It seems Kotobukiya did some cheating and made it look like she was sitting on a structure or something, but upon closer examination…it’s really just her dress holding her up. It works well though, I’ll give it that. If I weren’t paying attention I really wouldn’t notice nor care. 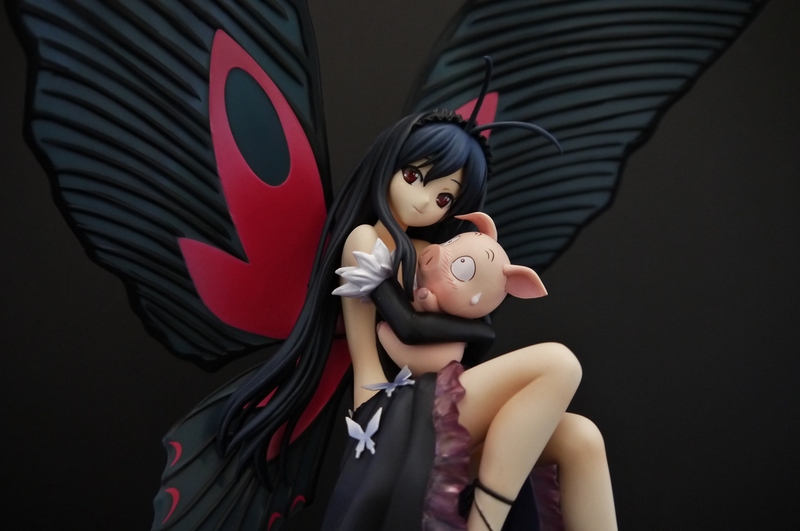 ‘Lil Pig Haru is removable from Kuroyukihime’s arms. 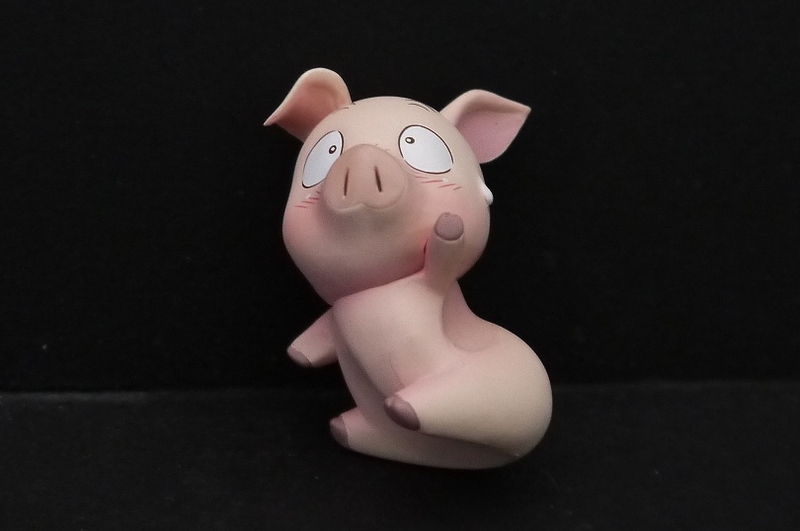 It’s a very simple sculpt, but done well. 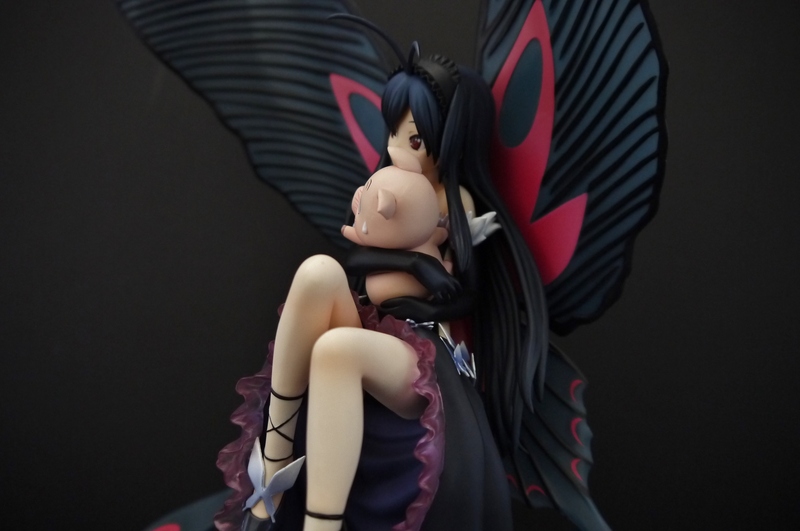 He has some indents in him to fit him in Kuroyukihime’s arms. 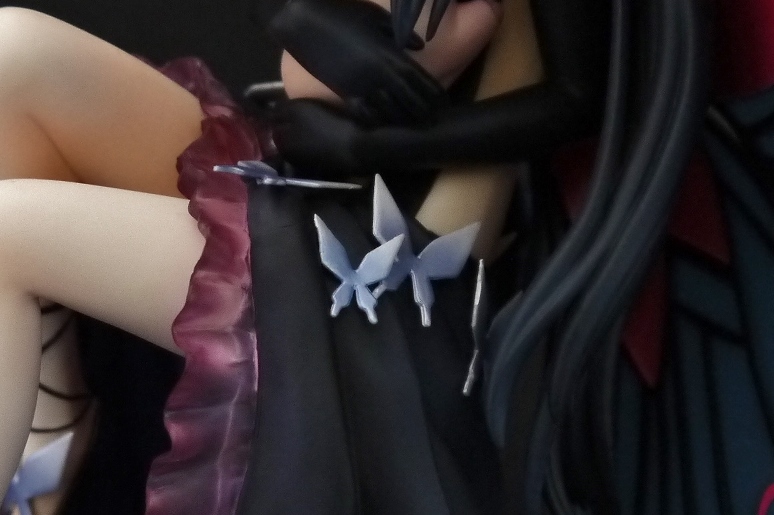 You can either just slip Haru right in her arms (its not tough or particularly hazardous to the statue’s health/well being at all) or slide Kuroyukihime’s right arm off a little above the elbow to slot him in there. I’d recommend just putting him in; it’s a rather scary experience sliding the arm off for the first time, for fear of accidentally snapping her neck or something. 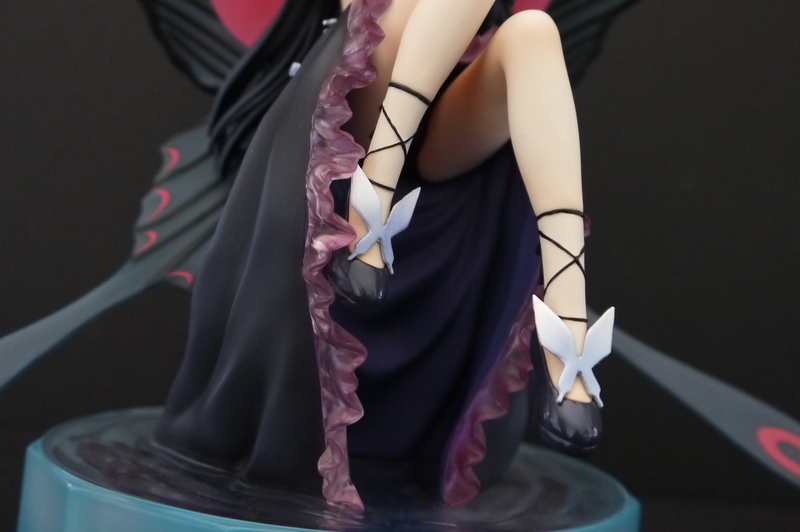 Overall Kotobukiya’s 1/8 scale rendition of Kuroyukihime is a beautiful statue in its own right. 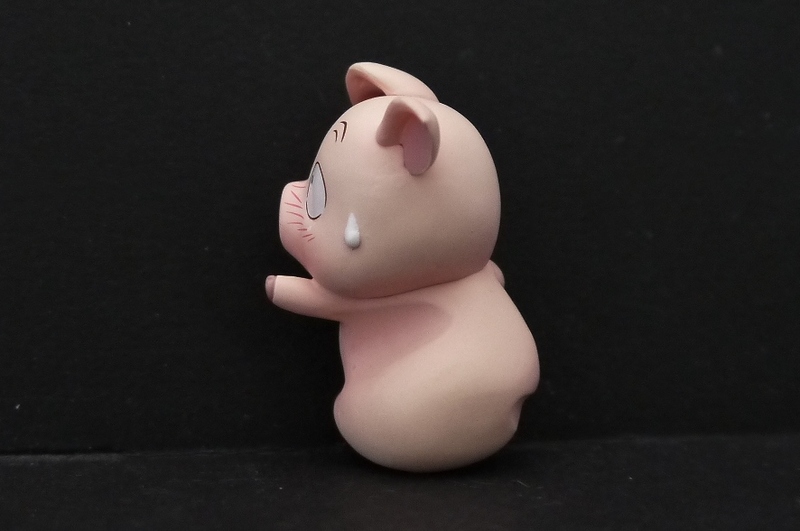 Best part is, prices should be relatively low due to overstocking lately, so chances are you’ll be able to find a very high quality statue at a low price. I love the use of clear segments in this piece, especially for the very appealing and captivating water base. 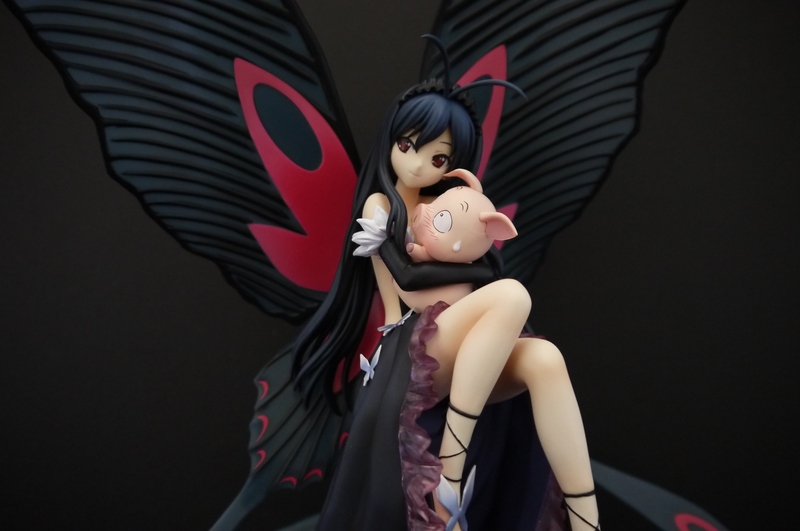 As an Accel World fan I think it’d make a great centerpiece for any collection.